Tina, Rachel and Margaret in 1996, 2006 and 2016. 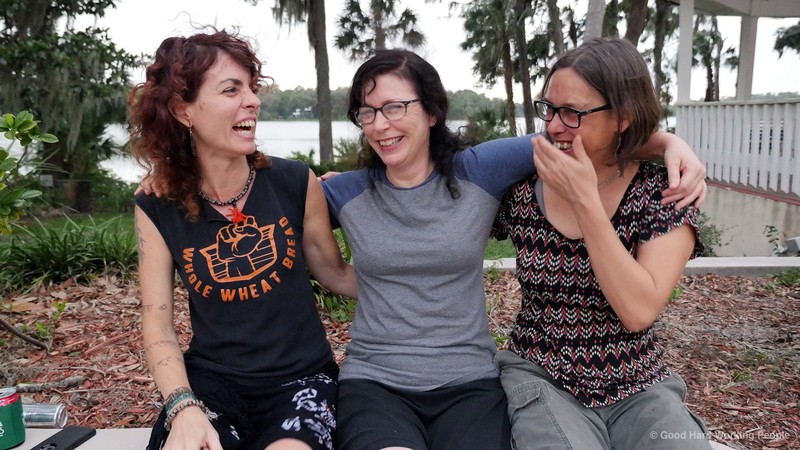 Margo, Tina and Rachel during the “debrief” interview at the end of filming in 2016. 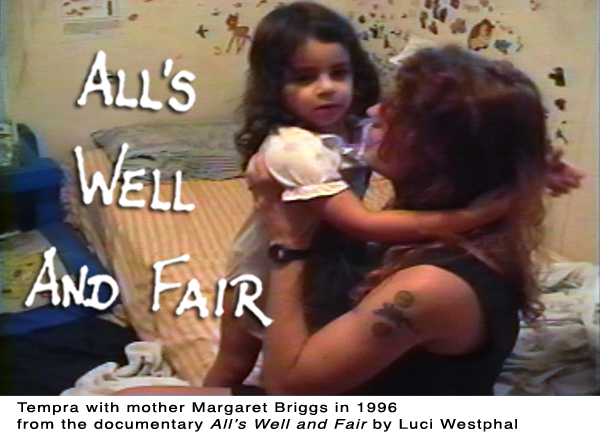 Banner for the web series version of All’s Well and Fair II. 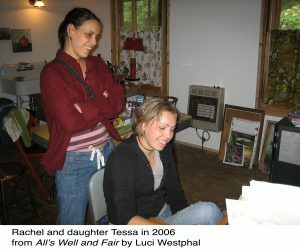 Rachel and daughter Tessa in 2006. 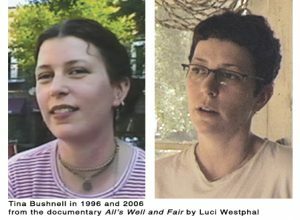 Tina Bushnell in 1996 and 2006. 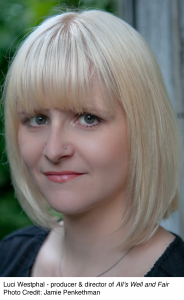 Luci Westphal – producer & director of All’s Well and Fair. 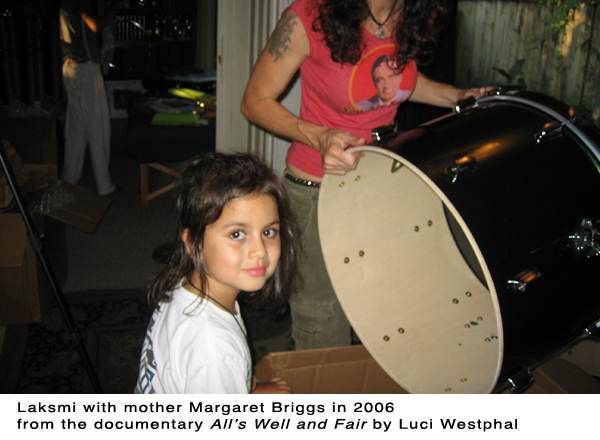 Tina, Margaret and Rachel in 1996 and 2006. 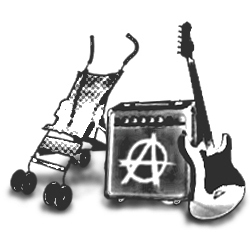 The 2006 All’s Well and Fair icon. 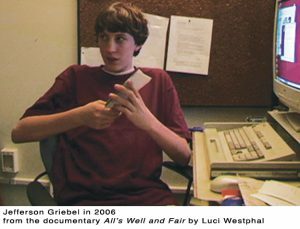 Jefferson with mother Tina Bushnell in 1196. Tempra with mother Margaret Briggs in 1996. 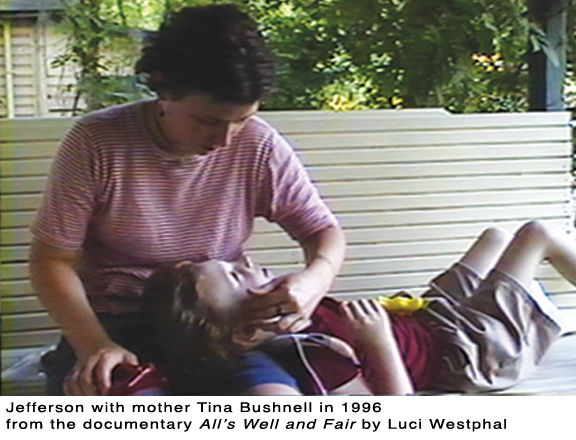 Tessa with mother Rachel Iannelli in 1996.